Located in the Eixample neighborhood of Barcelona, OBJETO DE DESEO has caught the eye of the international magazines and has even made Tyler Brule take proper notice of this Wonderland inspired house of genuine oddities and artistic nonsense. A Contemporary Cabinet of Curiosities, the store boast an impressive list of global artists and taste-makers housed in one extraordinary pristine setting. Objeto de Deseo has become the first object gallery in Barcelona, to carefully curate an eclectic selection of limited edition pieces for the home or office . Effortlessly blending styles in a sort of high-end KITCH, the shop is perfect for those who have a sense of humor when it comes to home decor and are on an eternal quest for the perfect conversation piece. 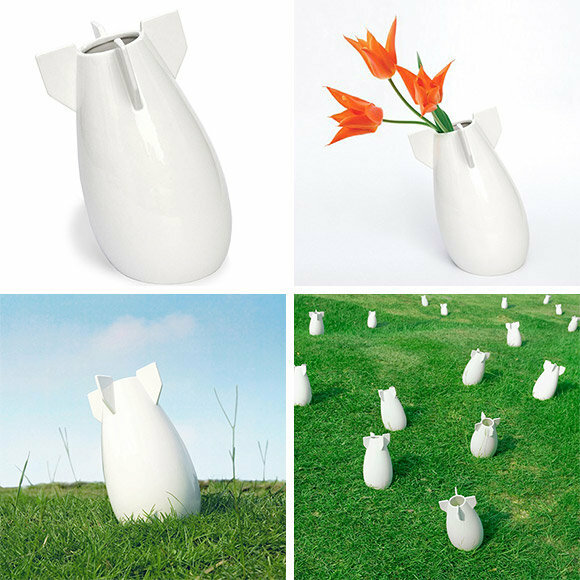 Littered with white pedestals bathed in white light this is a place where Rock and Roll dented ming vases stand silently under white porcelain deers while futuristic garden gnomes vie for your attention and wallet. Open Mon-Fri, this avant-guard home accessory emporium is a must stop for those who collect one of a kind pieces rather than cheap plastic snow globes and magnets when travelling abroad.